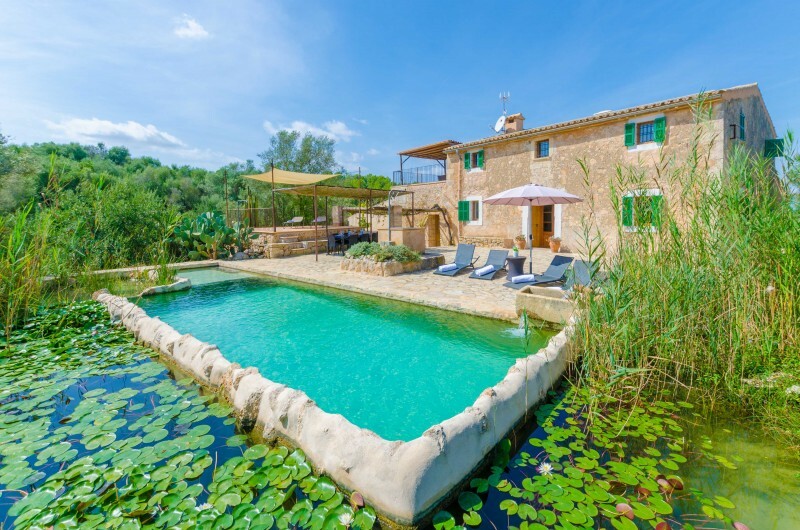 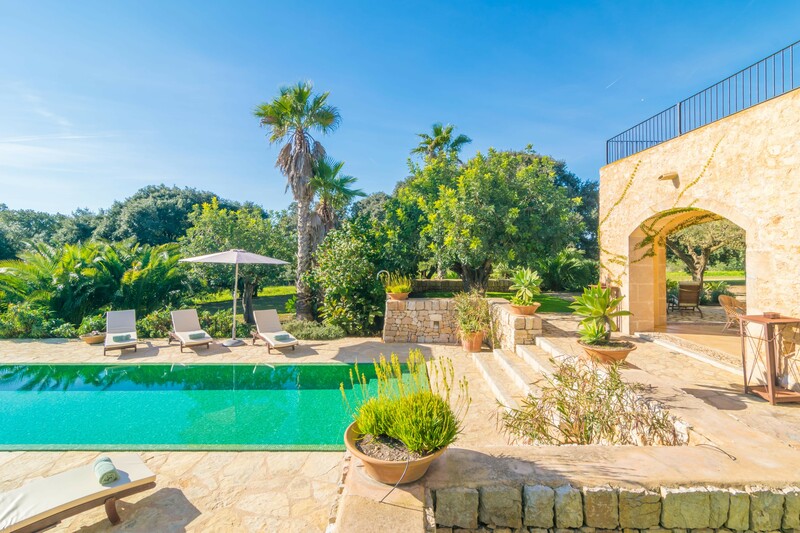 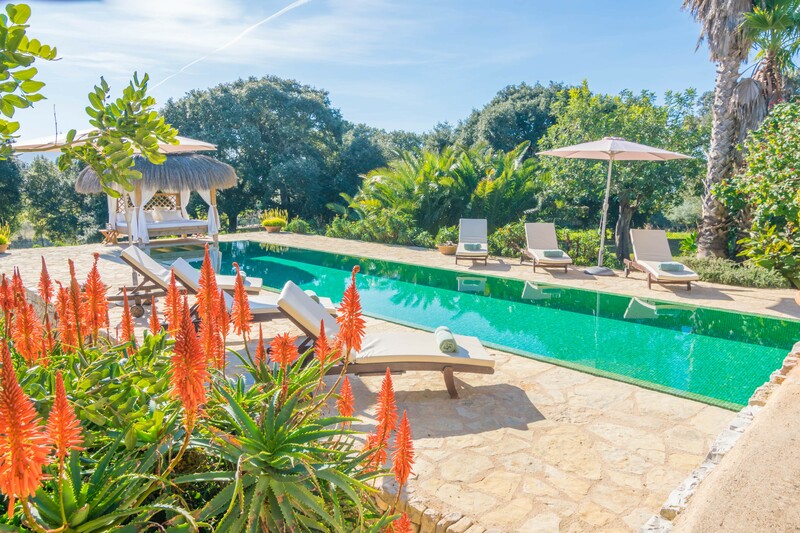 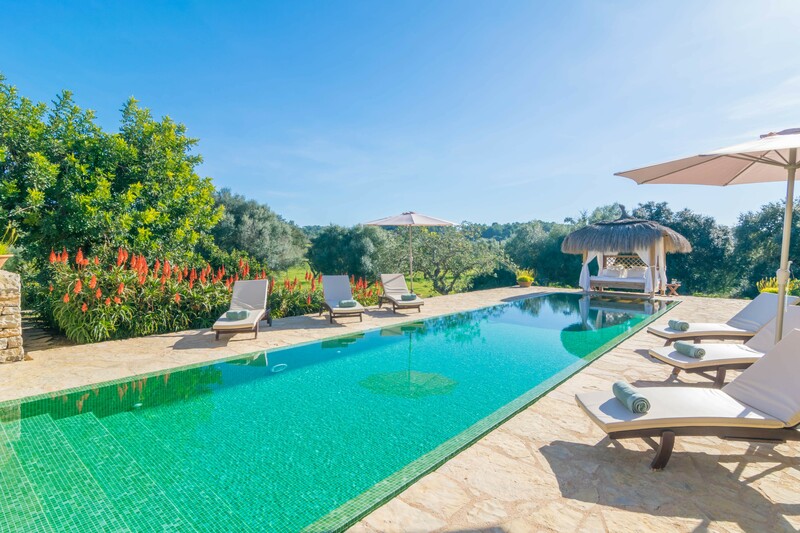 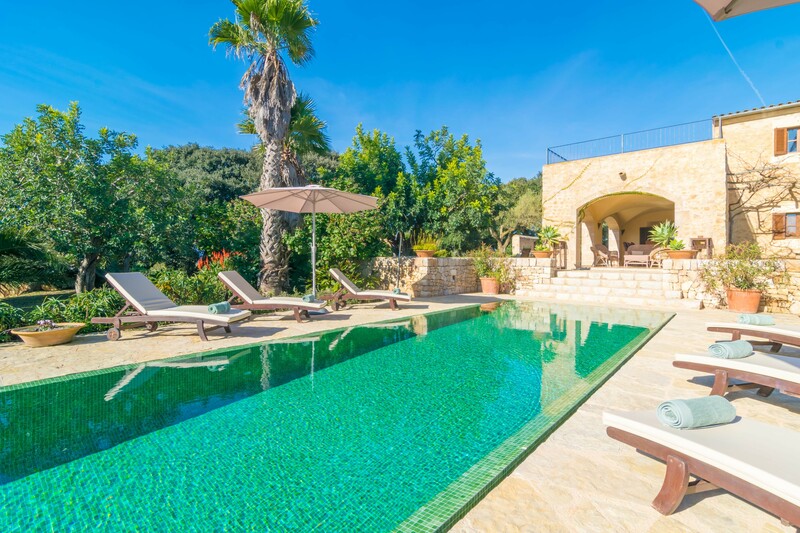 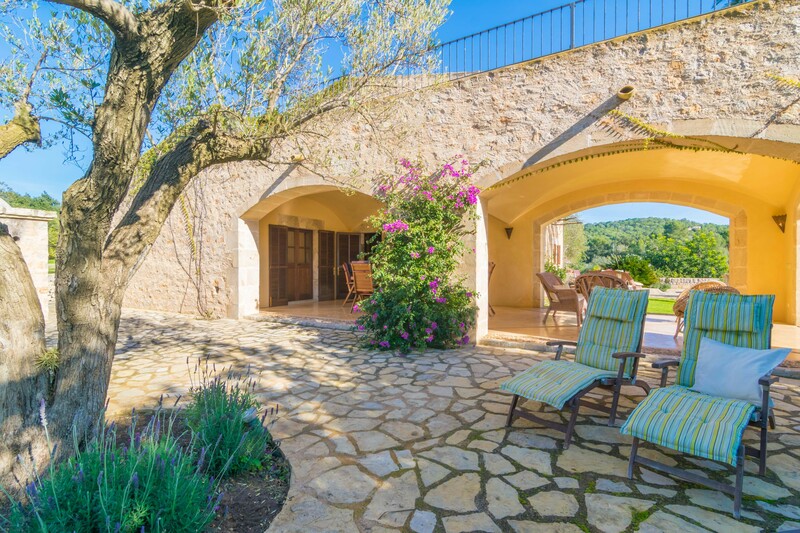 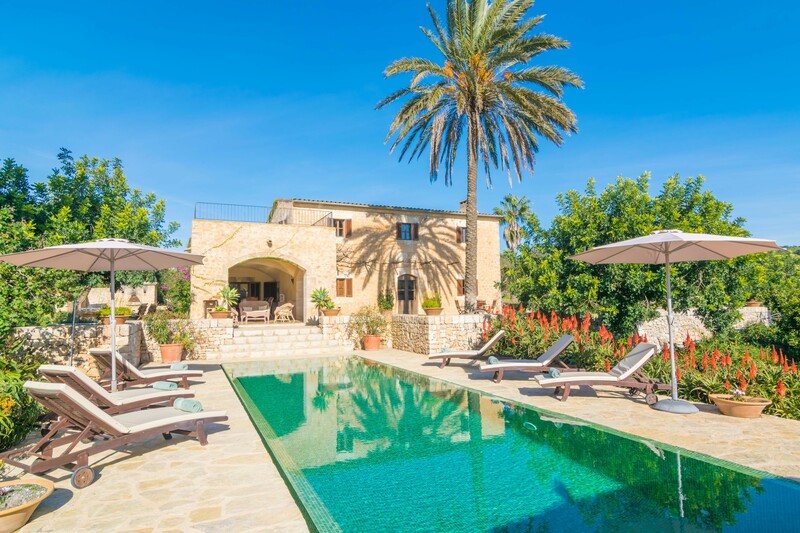 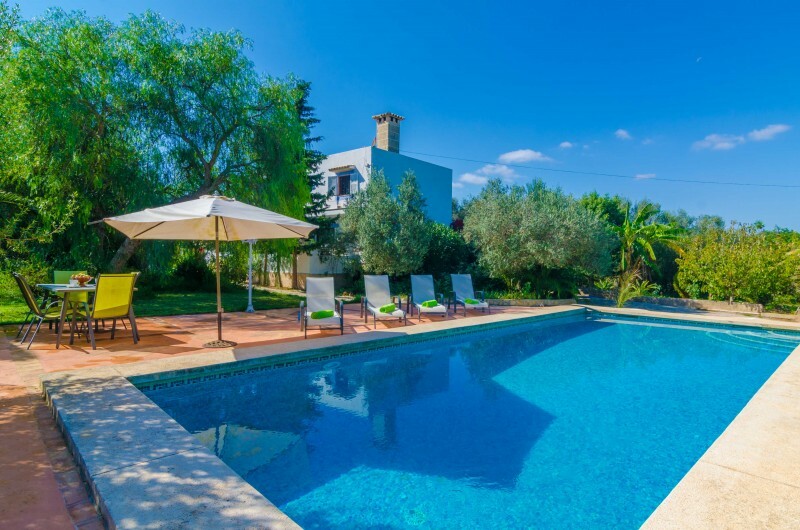 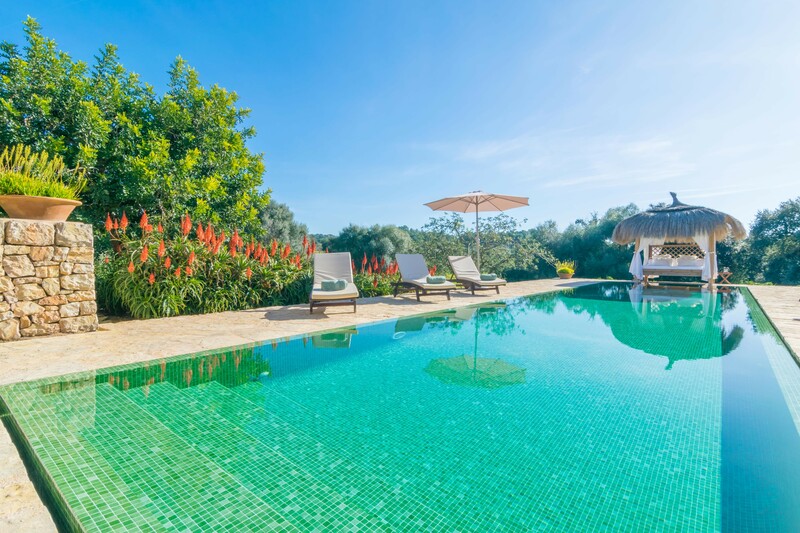 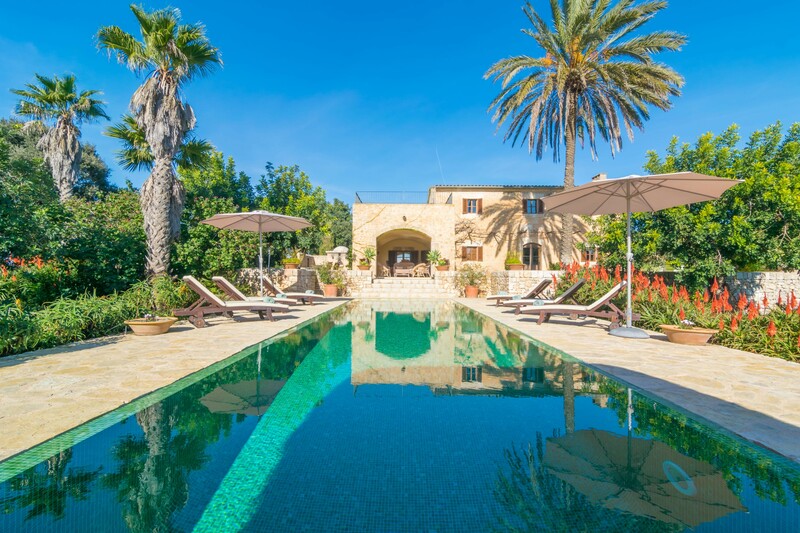 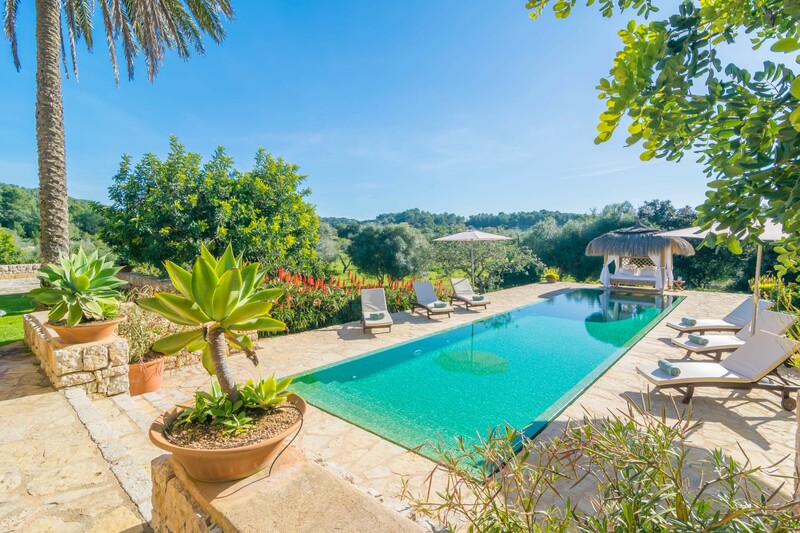 Magnificient rural house at the outskirts of Felanitx, with a big swimming pool, will make feel 8 guests like at home. 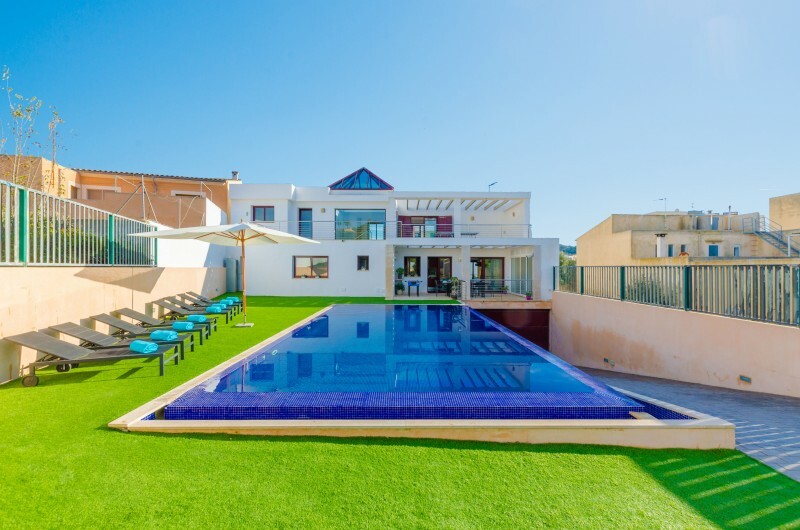 Welcome to this property with an amazing 15m x3.5m swimming pool and up to 1.80m depth. 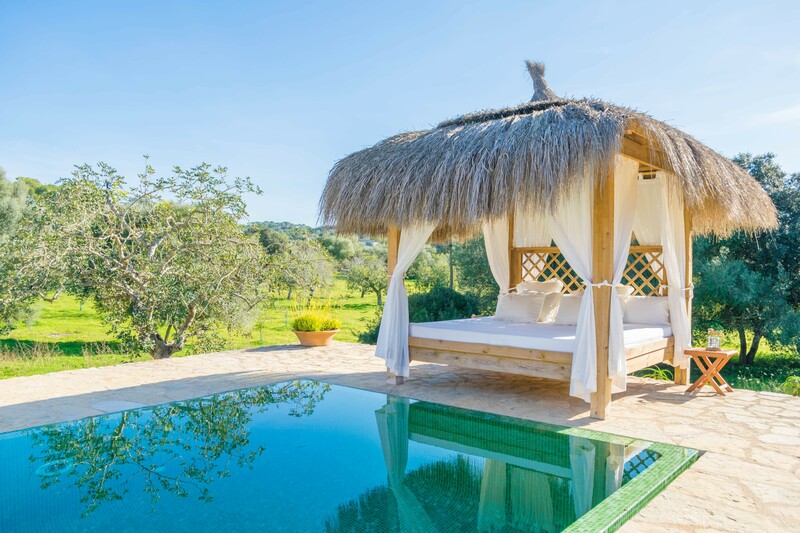 It disposes of some colourful lights for the night and eight hammocks where you can make the most of the good weather during the day. 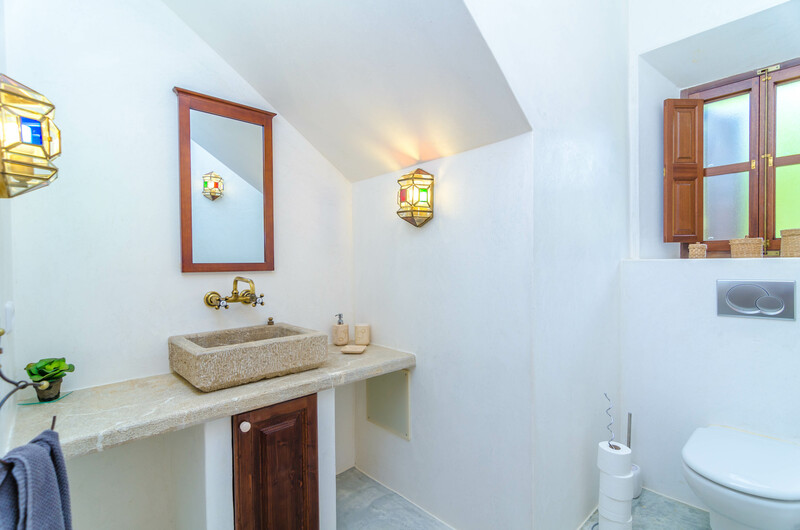 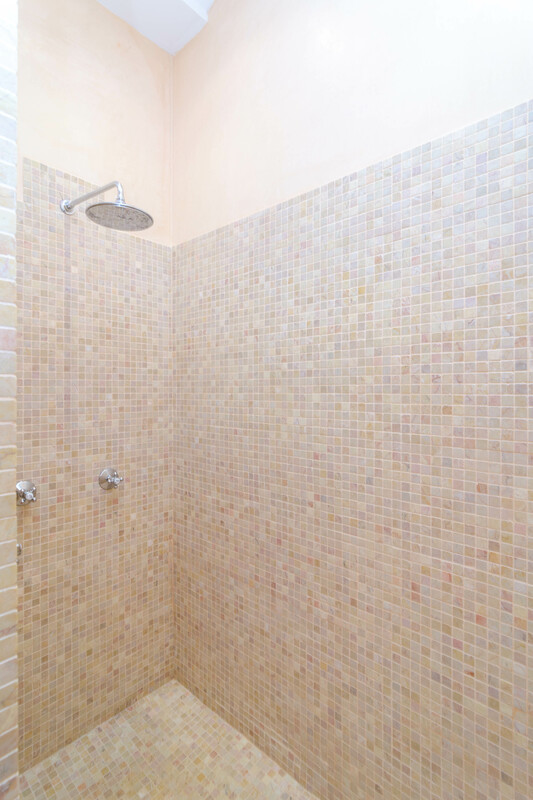 There is an external shower for a quick refresh. 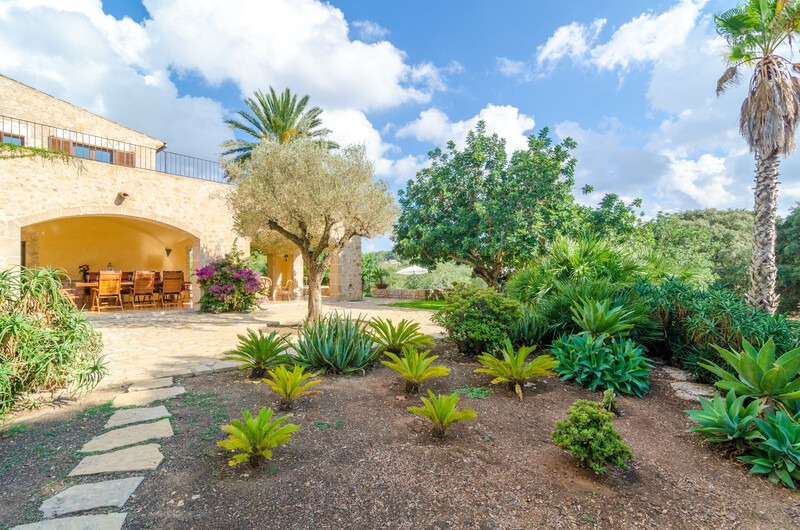 Is surrounded by a big grass and garden area, which makes outdoors so special, where having a nice walk is a pleasure. 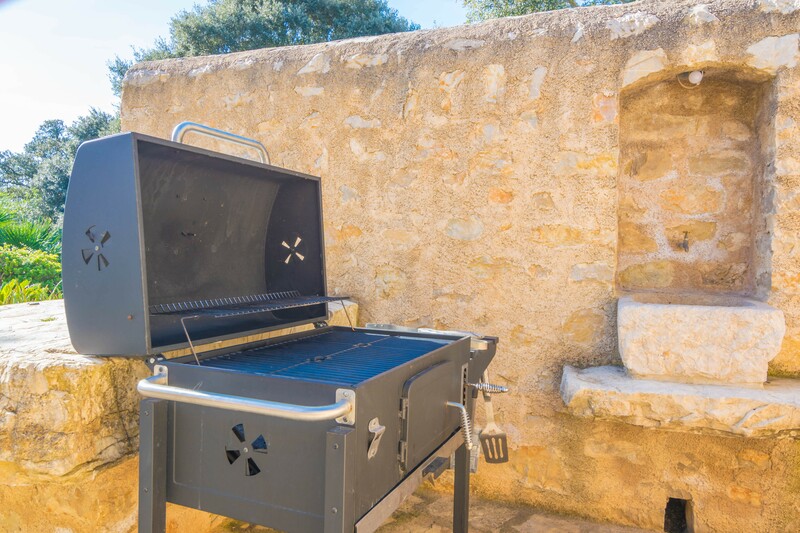 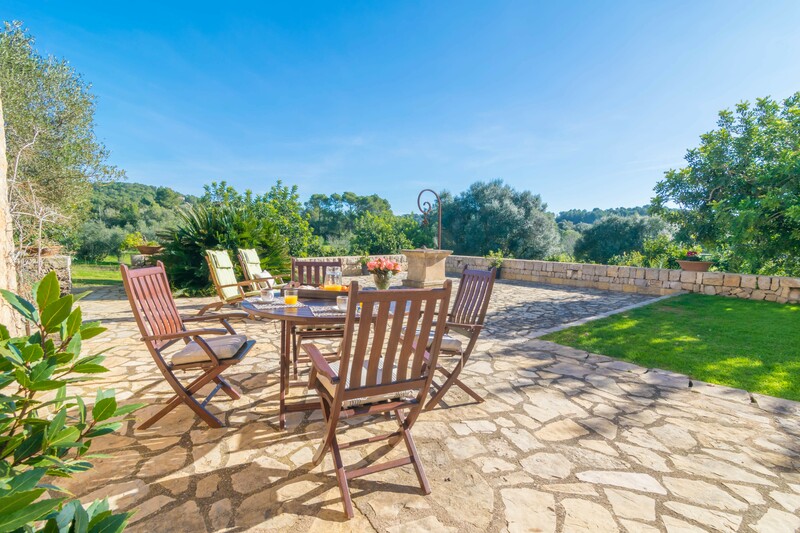 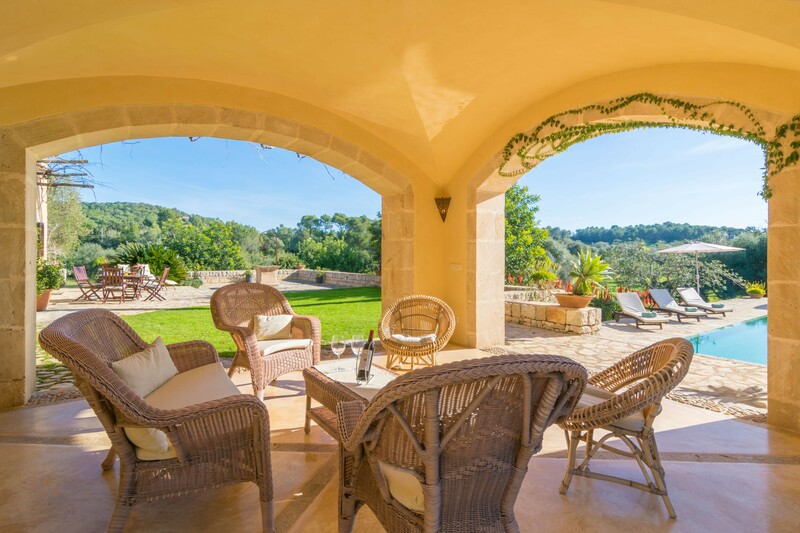 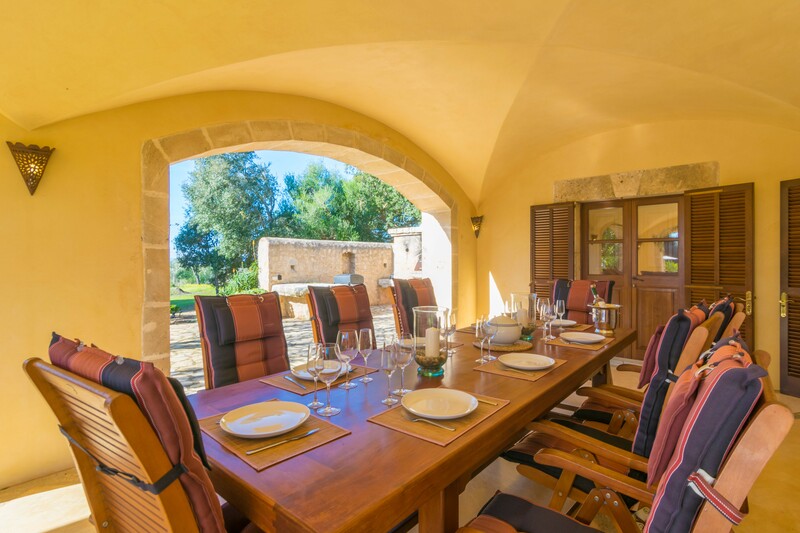 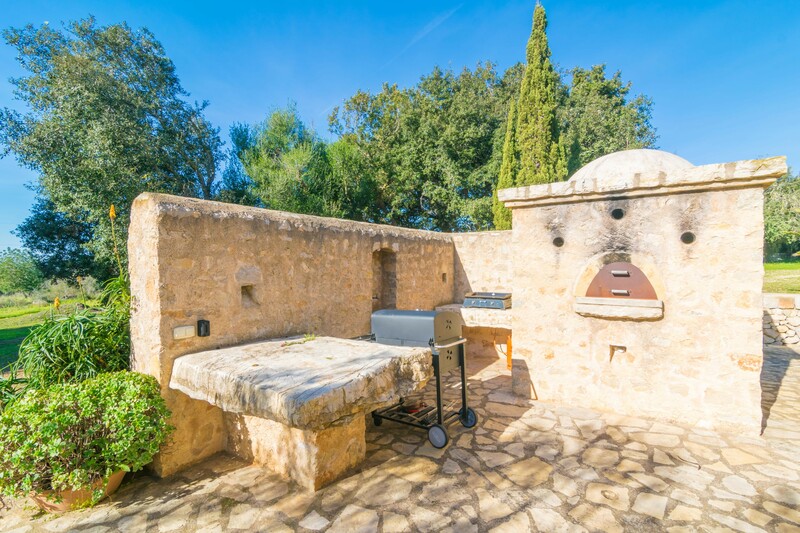 A gorgeous furnished terrace and a porch, are ideal to enjoy a tasty dinner prepared at the barbecue. 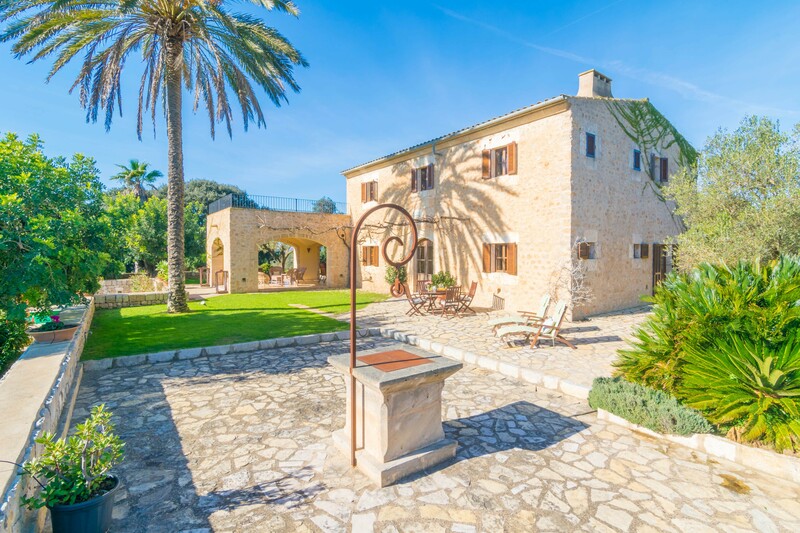 This nice house has no direct neighbours. 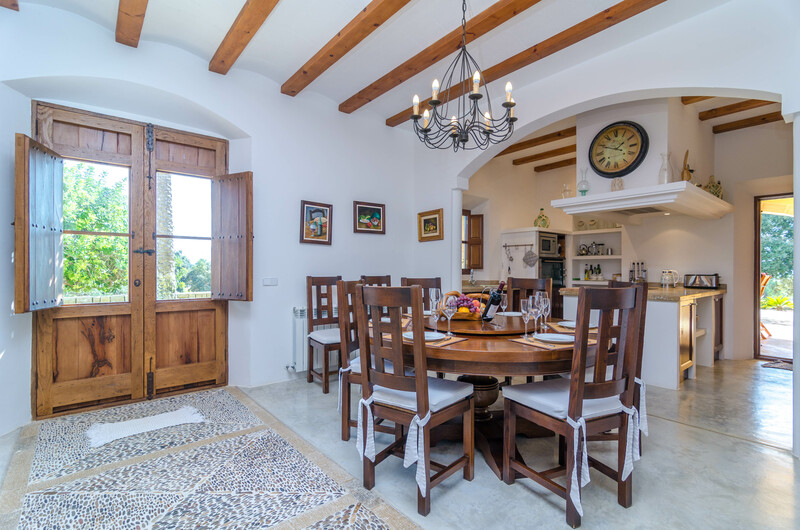 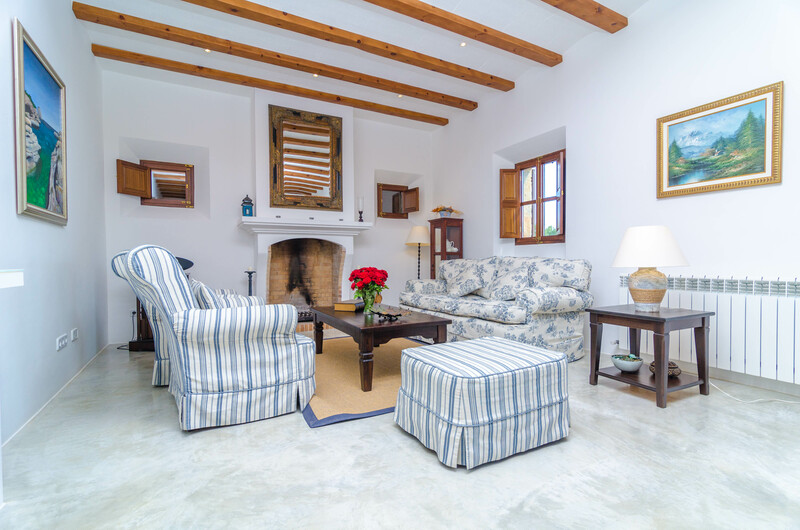 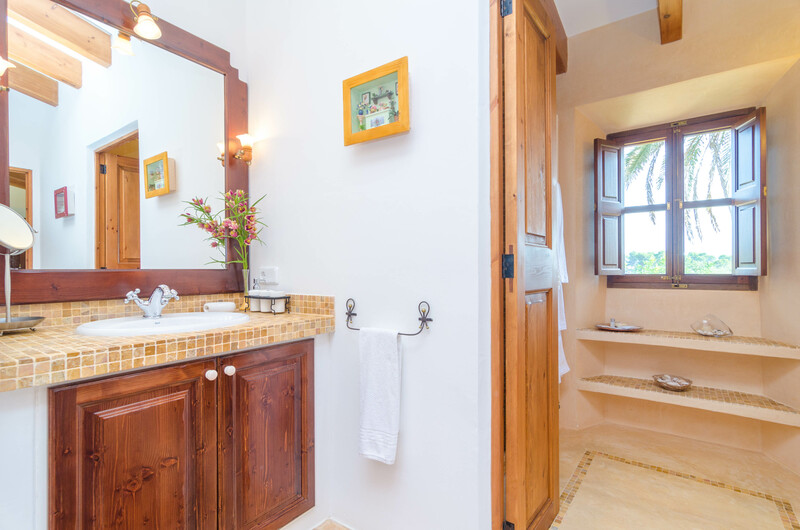 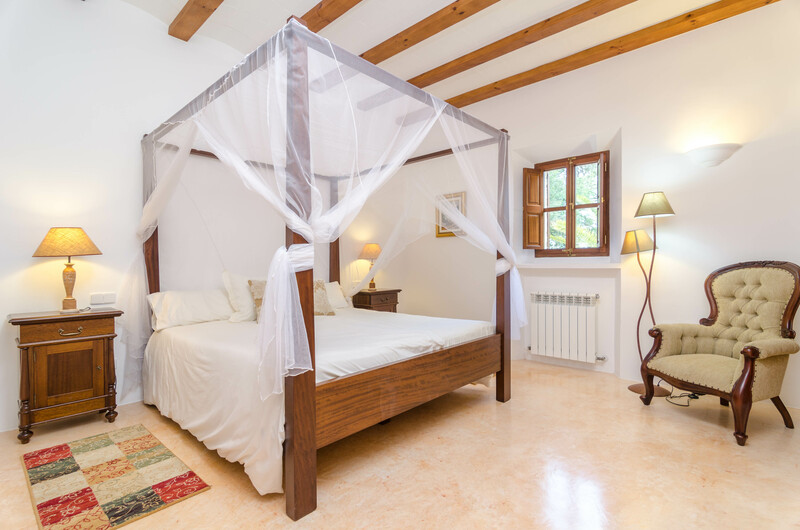 The property is decorated with a mix of both modern and rustic styles, and is divided in two floors. 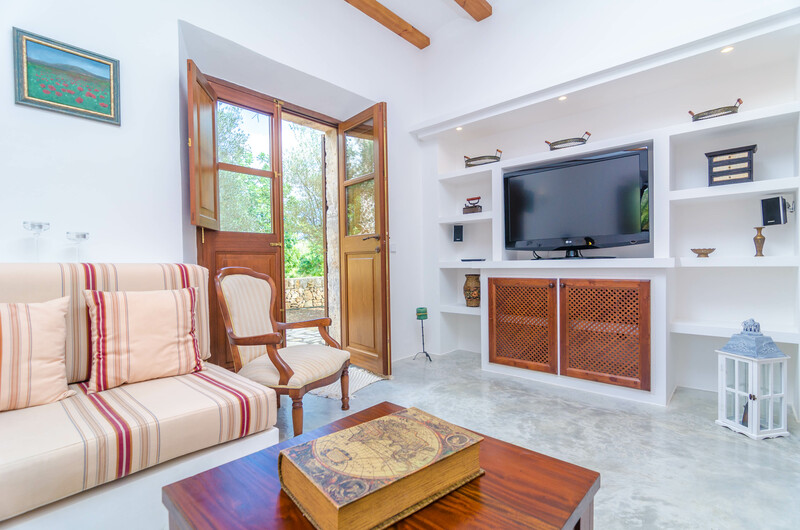 At the ground floor, there are two living-rooms: one with a fireplace and another one has a direct access outside and a satellite TV. 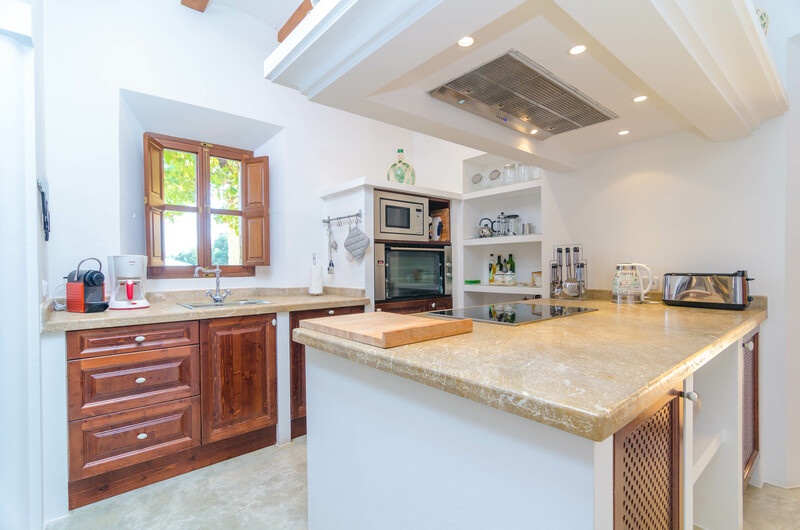 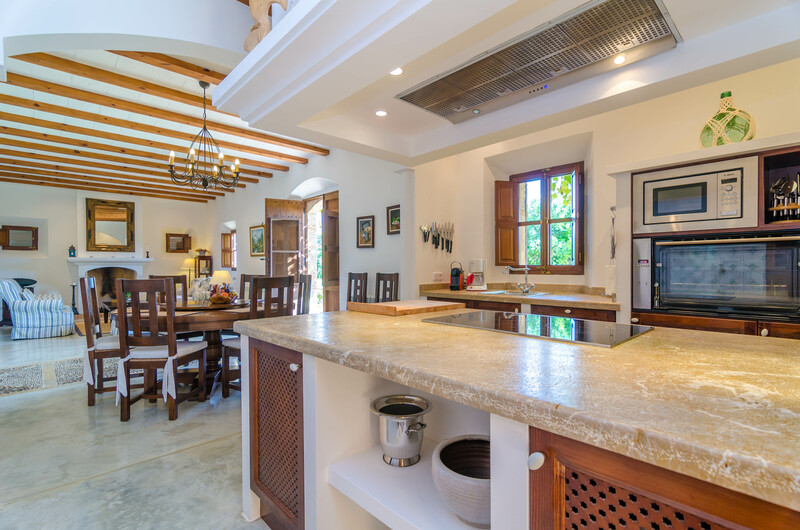 The induction equipped kitchen, is a fantastic place to prepare your favourite dishes, you will love its details like the little stones fringe at the floor or the countertop as well made of stones. 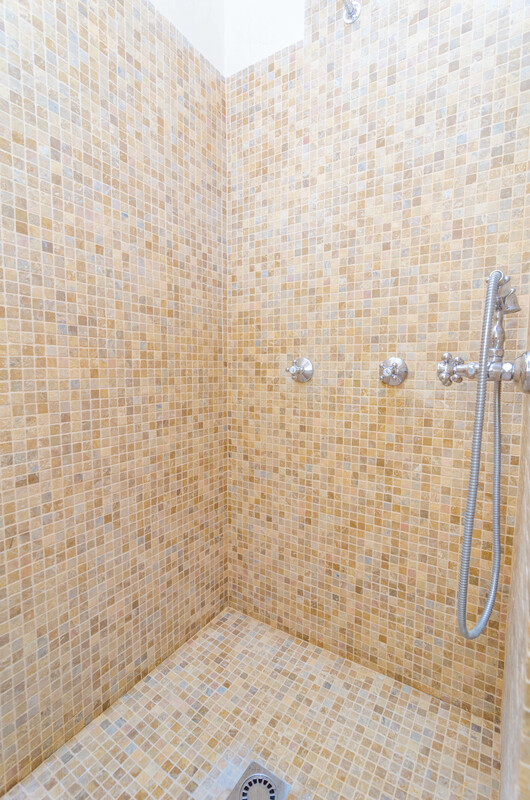 A gorgeous bedroom with a double bed and a bathroom en suite with a shower, and a shared toilet, complete this floor. 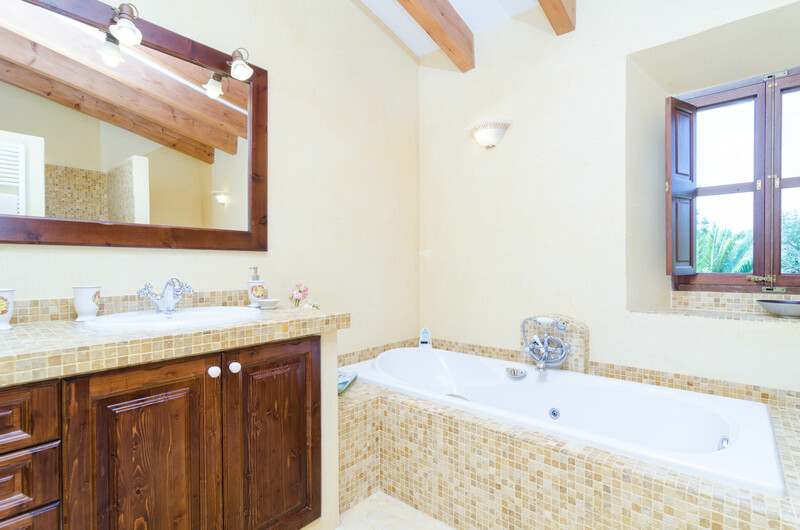 Upstairs, you will find another three bedrooms. 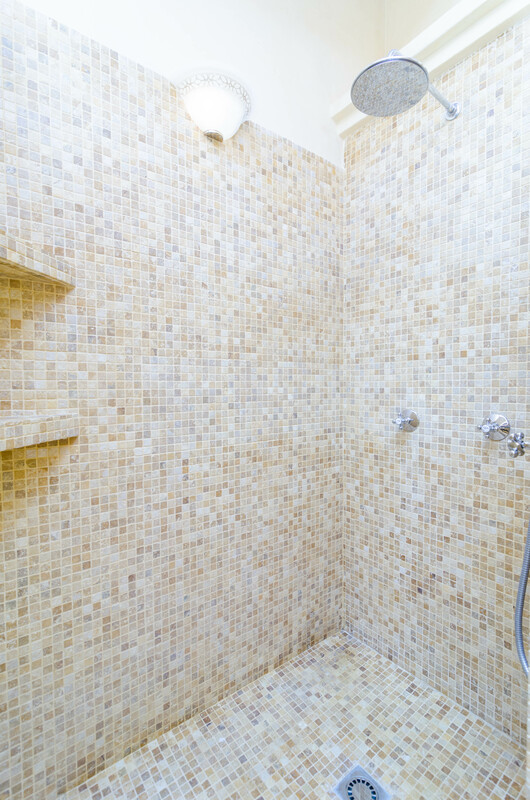 One disposes of two single beds, an studio space and a bathroom en suite with a shower and a hot tub. 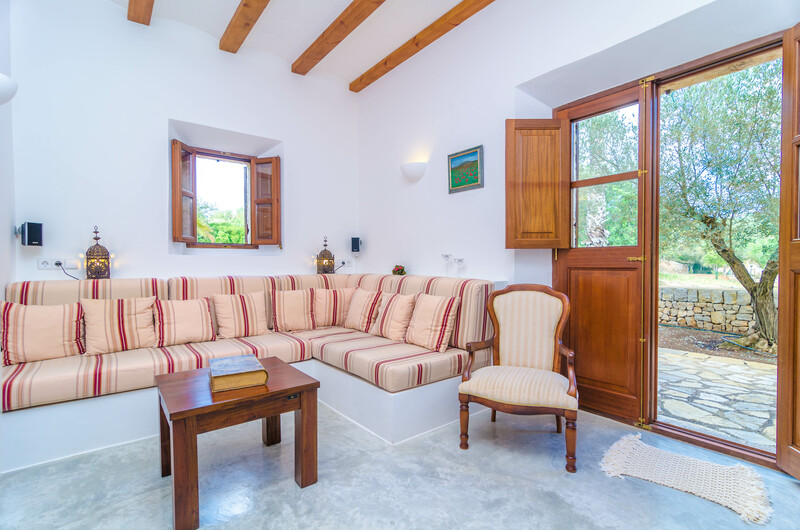 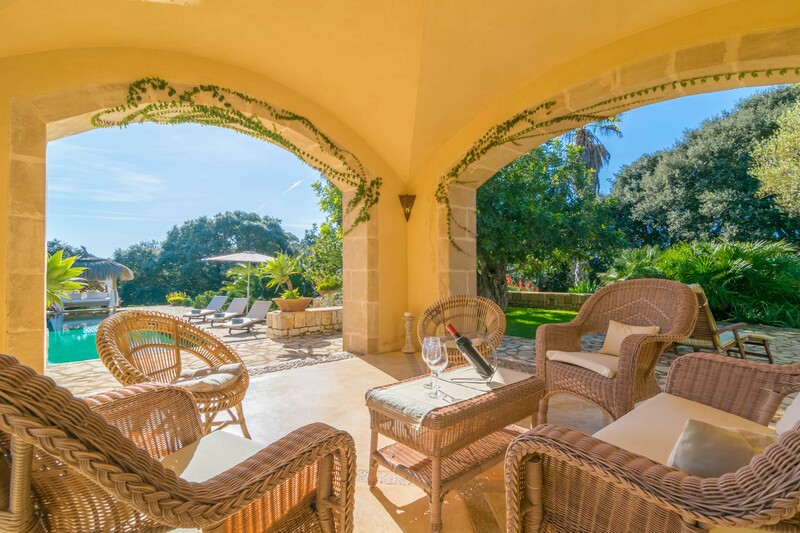 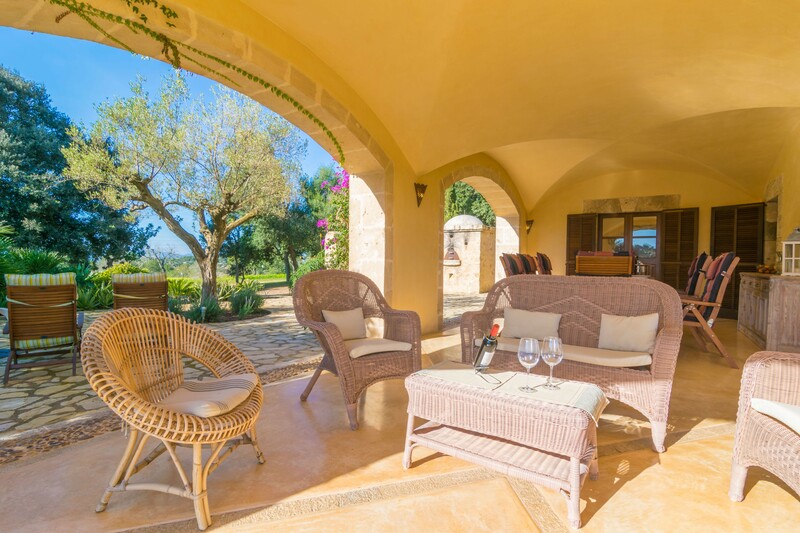 The second has a double bed, a bathroom en suite and direct access to a wonderful terrace. 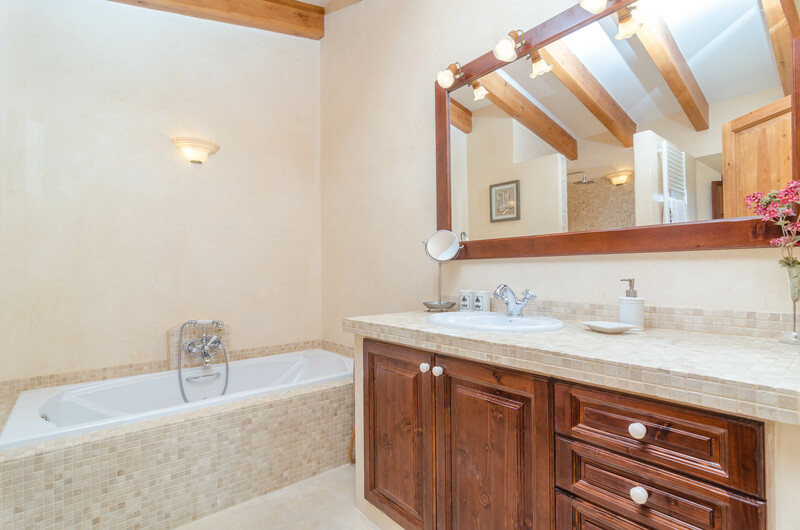 The last one has two single beds, a bathroom with a shower and a hot tub. 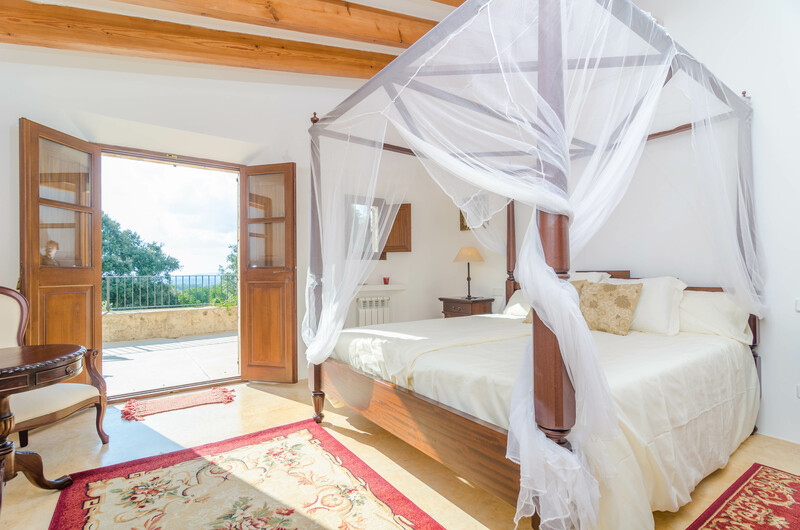 If you travel with your baby, we will provide you up to two cots and two high chairs. 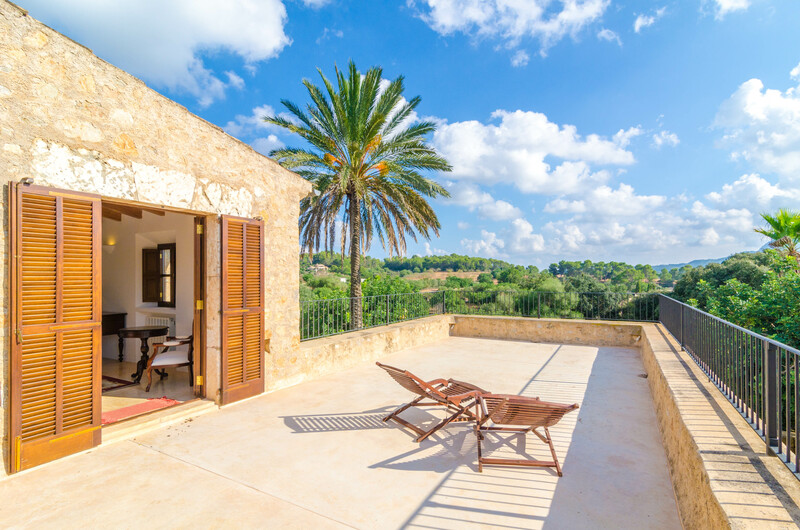 The property disposes of central heating for the winter, and an independent washing area with a washing machine, a dryer, an iron and an ironing board. 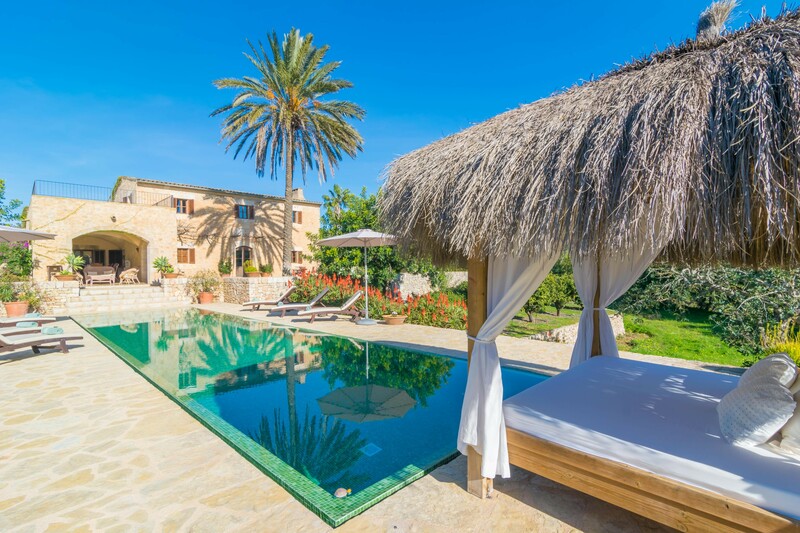 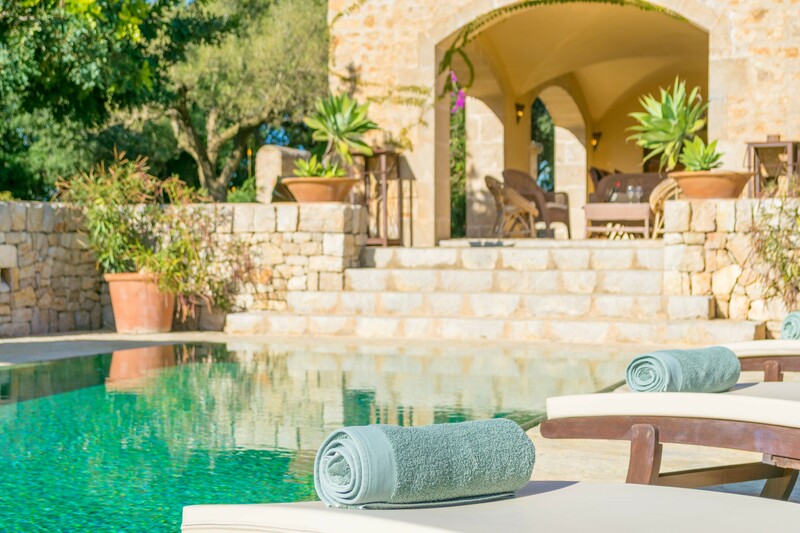 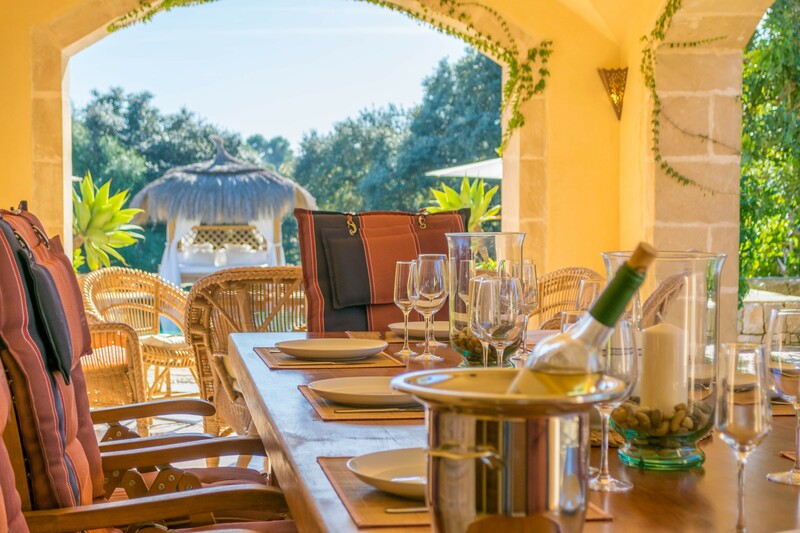 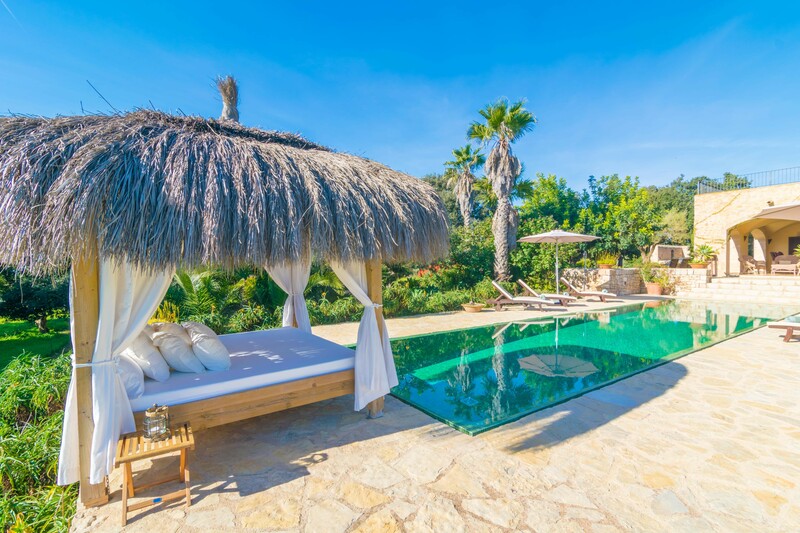 To be located at this rural environment is the better way to meet the real and authentic Mallorca. 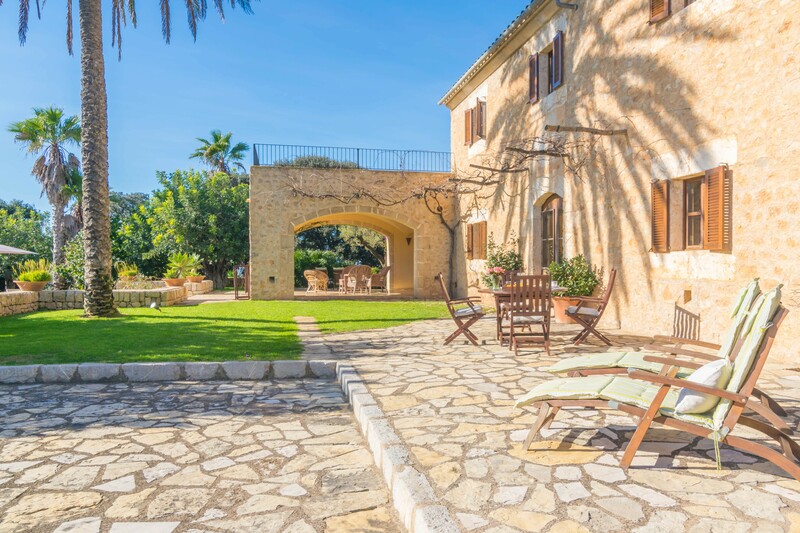 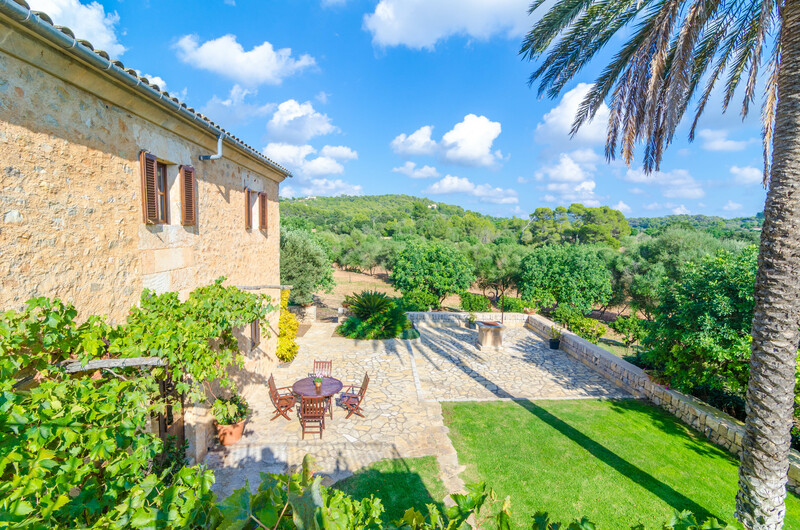 The property is near Felanitx village, about 5km distance, where you will find bars and restaurants with a delicious majorcan food offer. 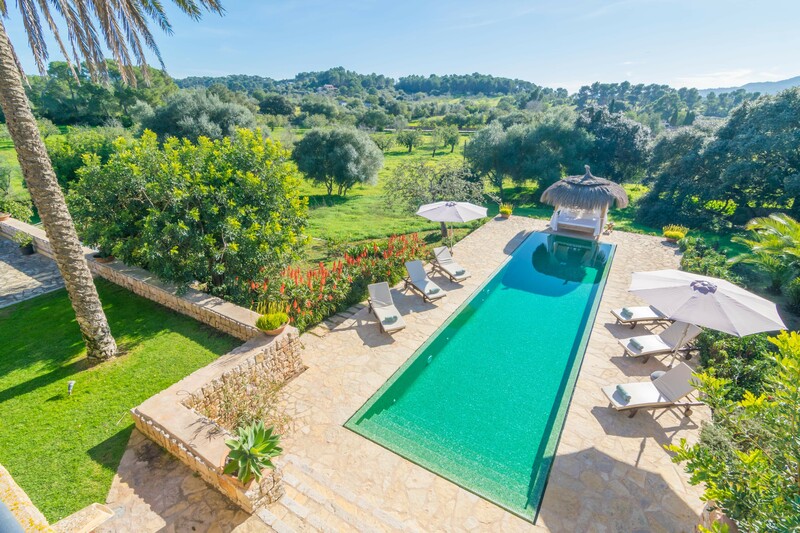 For golf lovers, Vall d'Or golf course is about 15 km distance. 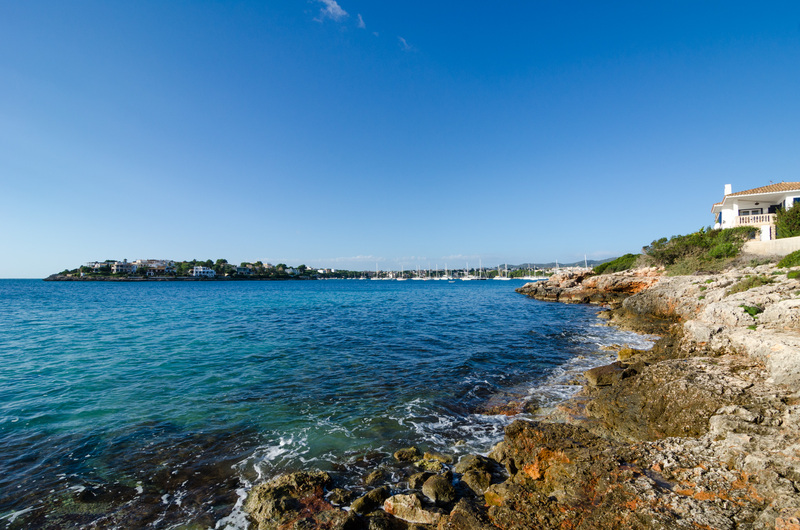 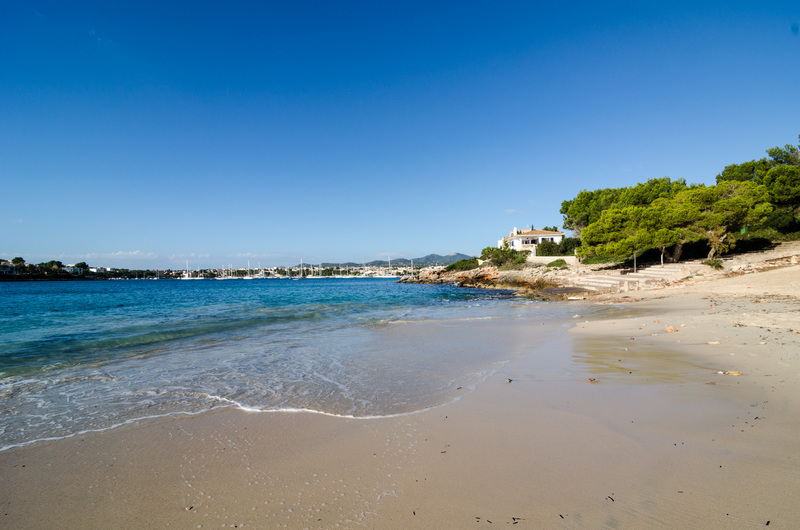 If what you fancy is to discover idyllic beaches, we highly recommend Portocolom, Calas de Mallorca or Cala Romántica. 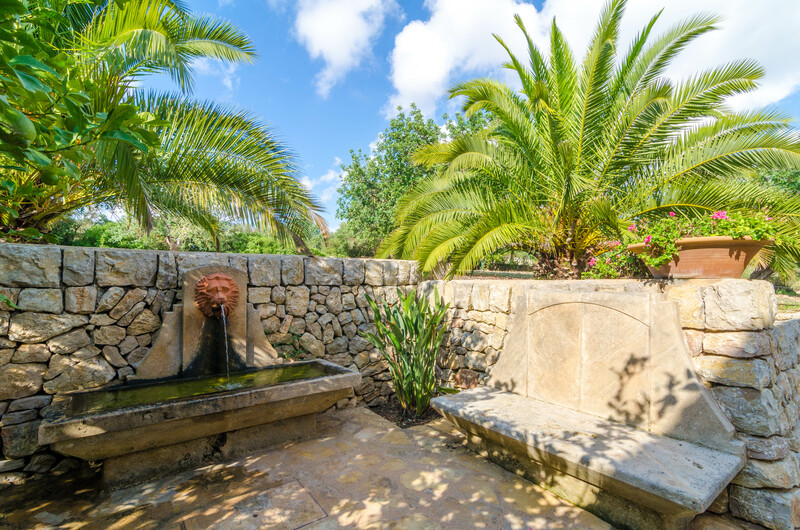 Don't miss San Salvador monastery and its views! 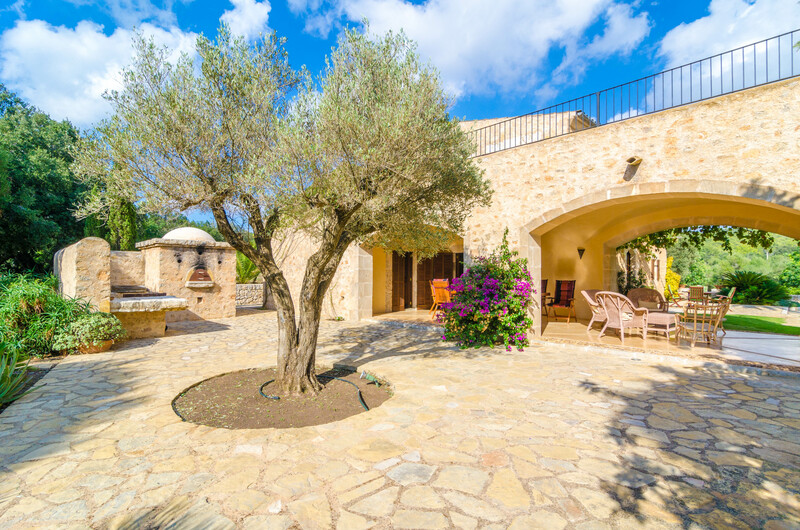 There is an external parking for four cars. 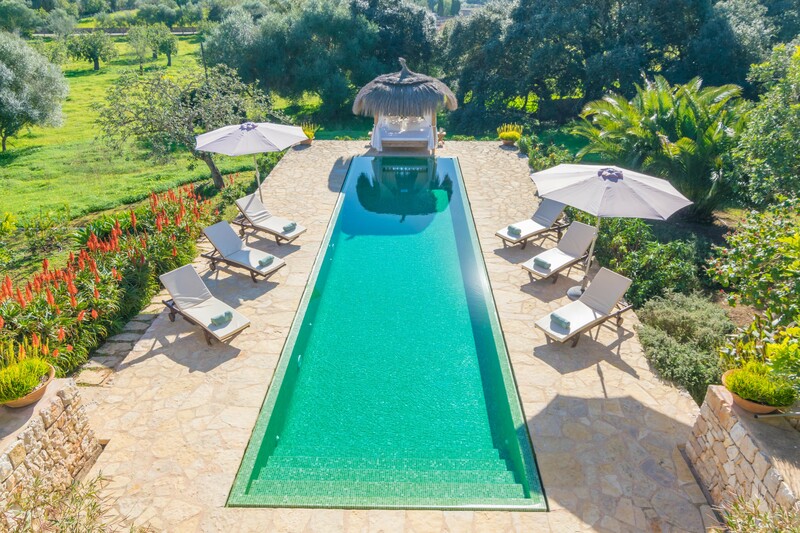 The swimming pool lights switch on automatically when its darker and switch off at 02am.